DemocracyWorks: A Blog of the National Democratic Institute | Working for democracy, making democracy work. As Yemen’s tragic war – fueled by a regional rivalry between the Kingdom of Saudi Arabia and the United Arab Emirates on one side and Iran on the other – drags on, the antagonists in the conflict have been stubbornly resistant to the efforts of U.N. negotiators to broker compromise and unwilling to make the first major steps toward peace. Yet, there is a curious and slightly hopeful political soap opera playing out in plain sight. 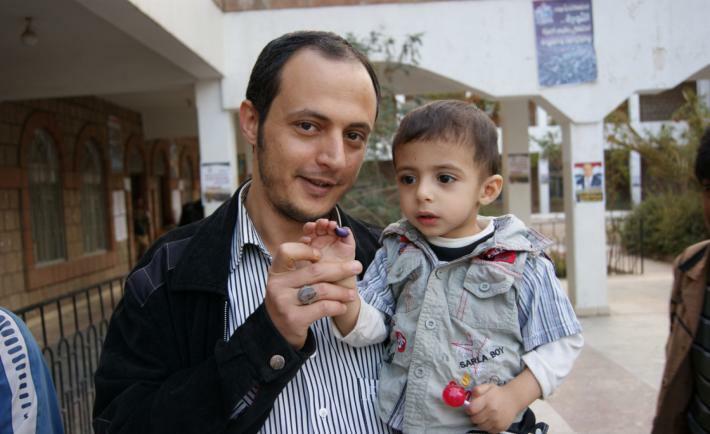 The internationally recognized government of Abd Rabo Mansur Hadi and the Houthi rebels (also known by their formal name, Ansar Allah) are pursuing separate but concurrent strategies to increase their international legitimacy by reinvigorating Yemen’s parliament. Ansar Allah has also released a groundbreaking policy document that may show signs of a new appreciation for democratic processes. By seeking to achieve a legal quorum in parliament and drafting a series of policy proposals that could be used by the public to hold their regime accountable, the Houthis are demonstrating a surprising affinity to some of the forms of democracy. Their commitment to the substance of democracy is yet to be proven. The Roma, whose numbers are estimated at more than 10 million, make up Europe’s largest minority group, and are also the largest socially and economically-marginalized population. Across the continent, Roma face systemic discrimination in employment, education, healthcare and housing. This leads to poor quality of life, lower life spans, higher school delinquency rates and higher unemployment rates in comparison to their fellow non-Roma citizens. According to official EU statistics, anywhere from 33 to 58 percent of Roma children will experience segregation in public schools and, on average, only 12 percent of Roma between the ages of 18 and 24 will have completed high school. 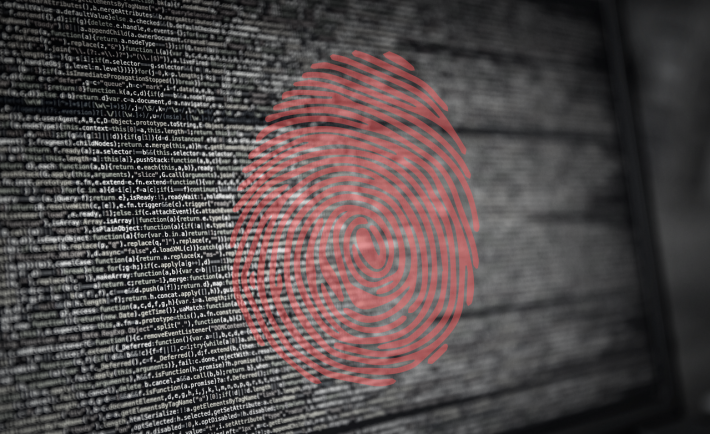 Online disinformation and computational propaganda can have major effects, particularly in volatile political environments where public opinion can be shifted to a narrative pushed by a group with access to personal data from target populations. The power of online systems to shift elections or referenda is the lesson of many recent political campaigns in history. That reality has shown the importance of strong institutions, laws that are capable of shifting with ongoing technological and political innovation, and better corporate governance. 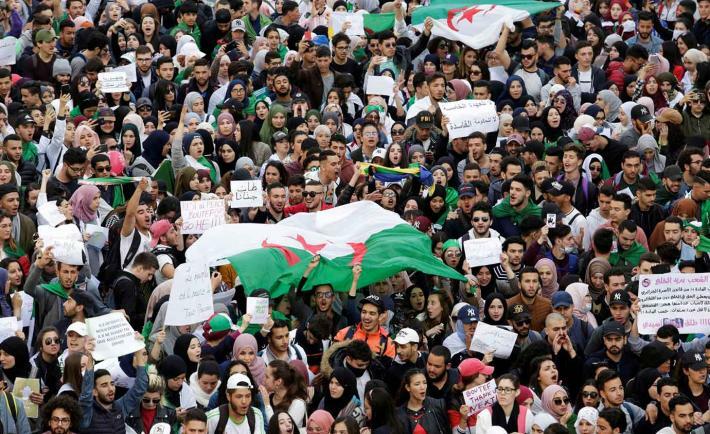 Recent images of hundreds of thousands of citizens marching peacefullythrough Algerian streets demanding the resignation of their autocratic ruler offer an unmistakable and powerful analog to the 2011 Arab uprisings. The ailing and out-of-touch 82-year-old Algerian leader Abdelaziz Bouteflika seeking a fifth presidential term in a country where 70 percent of the population is under age 30 brings to mind an oblivious Hosni Mubarak tragically misreading the seriousness of the first gatherings against him in Tahrir Square. Like Mubarak, who first tried to placate young Egyptians by promising to step down “later,” Bouteflika’s advisors beggar belief by claiming that their man—rarely seen in public over the past five years—will step down after he is “reelected” yet again. 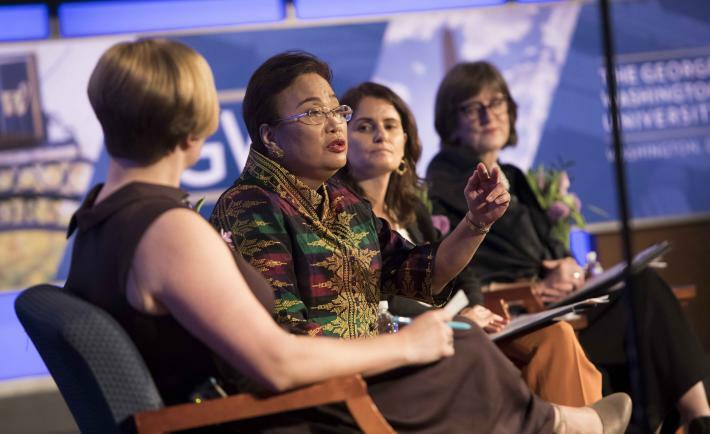 On the occasion of my first International Women’s Day as NDI’s president, I want to reaffirm the Institute’s commitment to championing women leaders around the world who are stepping forward, often under extremely difficult circumstances, to confront persistent obstacles to their political participation. Despite the significant progress made in women’s political participation in recent years, there remains substantial resistance to women assuming positions of political power. 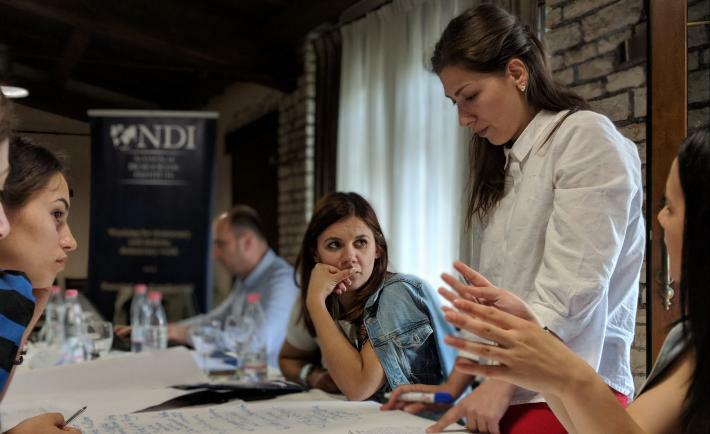 NDI supports the efforts of women all over the world to overcome barriers to their political involvement, including ending the gender-based violence that targets politically-active women. To help address this issue, NDI has launched think10, a groundbreaking safety planning tool that guides women in politics on actions that may reduce their vulnerability within their particular political context. Diogenes the Cynic once remarked that the “foundation of every state is the education of its youth.” More than 2,300 years later, cynical was an accurate description of the 27 teenagers who were rolling their eyes at me in an overheated classroom. My lesson that day was on the importance of civic engagement, but these young people had been taught their entire lives that young voices do not matter in politics. My seatmate pulled out her phone the moment our packed plane touched down in El Salvador three days before the country’s February 3 presidential elections. She began furiously scrolling through her Facebook feed, her face lit up with campaign slogans, articles and the smiling faces of candidates Nayib Bukele, Carlos Calleja and Hugo Martinez. Peering over her shoulder, I watched as she punched out a comment lambasting corrupt status-quo politicians. “El Salvador doesn’t need another leader who steals from us,” she typed. “Bukele deserves a chance.” The goal of my trip to El Salvador was to assist our local partners with a USAID-funded election-day observation. 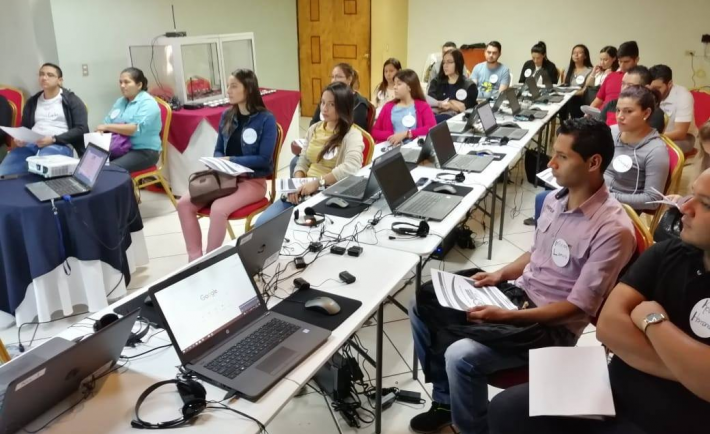 NDI supported a consortium of Salvadoran universities and a civil society organization, together called Observador Electoral 2019, to recruit, train and deploy 850 Salvadoran election observers to monitor a statistically representative sample of 700 polling stations nationwide. 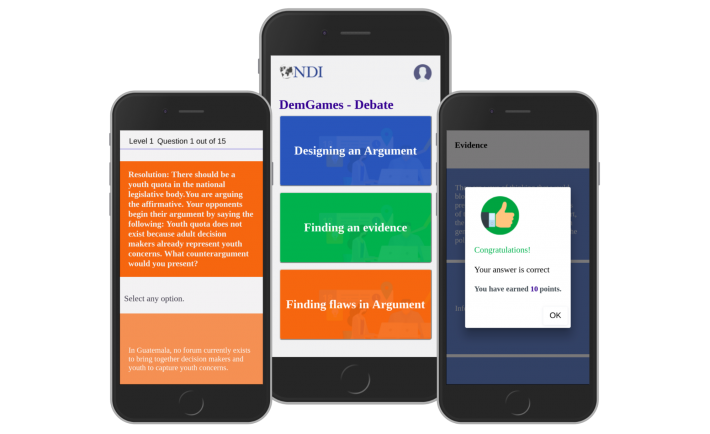 DemGames for Debates was developed in partnership with NDI’s Citizen Participation, and Latin America and Caribbean teams. As the Technology Innovation team at NDI, we are always looking for new approaches to build intuitive platforms that make an impact for our partners in their particular context. One of our recent pilot projects – DemGames – offers partner organizations an opportunity to engage youth on civic and voter education issues through an interactive learning platform. Last April, as we began to think of the many ways a gaming platform could contribute to a youth debates program in Guatemala, we decided to run a three-day design sprint, adapting a human-centered design approach, to develop a prototype we could begin to test. Here are some of the lessons we have learned. It is easy to get lost in the details of one’s work. This happens in every field ranging from the neverending rounds made by a nurse to the countless strokes of an artist’s paintbrush. Supporting democracy and good governance is no different – thousands of dedicated activists across the world spend their days, nights and weekends lost in paperwork, meetings and strategy sessions, working to create a more inclusive, just and democratic world.